Who would pick the pocket of your grandma or grandpa? Apparently, any number of people. Older Americans are losing $2.9 billion annually to elder financial abuse, a 12% increase from the $2.6 billion estimated in 2008, according to The MetLife Study of Elder Financial Abuse: Crimes of Occasion, Desperation, and Predation Against America's Elders, released Wednesday. According to the study, 51% of these abusers are strangers, but 34% of the perpetrators were family, friends and neighbors. As for "trusted advisers," exploitation from the business sector accounted for 12% of reported cases. Medicare and Medicaid fraud accounts for 4% of reported cases. As a subset, the percentage of robberies and crimes classified as "scams perpetrated by strangers" increased from 9% to 28% from 2008 to 2010.
Who's on the top of the target list? Women. The study, produced by the MetLife (MET) Mature Market Institute in collaboration with the National Committee for the Prevention of Elder Abuse and the Center for Gerontology at Virginia Polytechnic Institute, shows women were nearly twice as likely to be victims of elder financial abuse as men. Also prime for the picking were people between the ages of 80 and 89 who lived alone and required some help with either health care or home maintenance. Primarily, men were the menace: Nearly 60% of perpetrators were males, mostly between ages 30 and 59. Predators lie in wait, watching: In the most common scenarios, strangers targeted victims who were out shopping, driving or managing the financial affairs, and often looked for particular flags of vulnerability like handicapped tags on cars, canes or displays of confusion. Crimes included cons, purse snatchings and associated physical assaults. But that even those closest to an elderly person can give in to temptation or desperation. In cases involving a person known to the victim, trusted helpers like caretakers, handymen, friends, "sweethearts," children, lawyers and others seized upon opportunities to forge checks, steal credit cards, pilfer bank accounts, transfer assets and generally decimate elders' finances, the study revealed. The holidays apparently bring out the worst in people: At that time of year, overall dollar losses due to family and friends were higher than any other category. People can get quite creative with abuse. One unusual method -- caregivers secretly marrying their elderly charges, says Susan Slater-Jansen, an attorney at Kurzman Eisenberg Corbin & Lever. There have been numerous lawsuits over cases in which a caregiver married a mentally incapacitated older patient and the patient's family didn't learn about it until after the patient had died. Once a person is dead, it's too late -- in all but three states, you can't void a marriage if one spouse has died, says Slater-Jansen. To help lower the odds of such a thing happening to your parent, adult children should make sure they receive duplicate monthly statements from all bank and brokerage accounts; install nanny cams; carefully and thoroughly check references for all caregivers; visit parents often, both while the caregiver is there and when they are not; and discuss with your parents the treatment they are receiving from caregivers. If you discover such a fraudulent marriage has taken place, act quickly to get it annulled. After the parent dies, heirs can sue to recover money from the "spouse." More and more, courts have found ways to deny spouses if the marriage was fraudulent, says Slater-Jansen. "The most flagrant abuse is perpetrated on the elder by the hired caregiver, neighbor, or 'new' friend," warns Karen Maarse Fitzgerald, a principal in her own elder law practice. "A simple power of attorney signed by the elder can give to the "agent" broad and sweeping powers over the elder's life savings. I have seen bank accounts drained within days, the money and perpetrator vanishing to another country." The worst forms of elder abuse go beyond money: There can be physical abuse and sexual violence as well. "The vigilance of friends and family can help protect elders from those who are predatory, which may, unfortunately, include strangers or even other loved ones," said Sandra Timmermann, Ed.D., director of the MetLife Mature Market Institute, in a prepared statement. "Stay active and engage with others; socialize with your family members and friends. Avoid isolation, as it can lead to loneliness, depression, and make you more vulnerable to financial abuse or exploitation." "Use direct deposit for Social Security and other payments to prevent mail theft. Sign your own checks whenever possible." "Stay organized and keep important papers and legal documents in a safe, secure location." "Review your legal documents (i.e., wills, trusts, and power of attorney), as well as other important documents (i.e., insurance policies) at least annually, to make certain they continue to represent your wishes." Shred all confidential and financial information prior to discarding. "Consider allowing the bank to send a duplicate copy of your bank statement to a trusted family member," advises attorney Andrew Stoltmann, who has a large client base of seniors. "Usually, most financial elder exploitation cases are only reported or discovered six to 12 months after the initial losses have occurred." Elders whose sight is failing are at even greater risk because they may rely upon the very person who is stealing from them to ensure that their financial transactions are in order, says Stoltmann. "An independent pair of eyes that is able to review bank statements every 30 days will be able to catch suspicious activities in the early stages and cut it off. This is crucial." 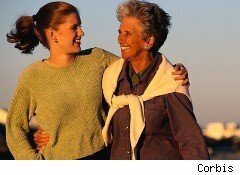 When you are the responsible caregiver, know too, that your prudence can go a long way in preventing financial abuse. Have some tough conversations. You need to know whether there is a will or a durable power of attorney, and where such documents are. Does your parent have a living will? If so, does it give you clarity about what your loved one's wishes are? A health care power of attorney would permit a trusted individual make medical decisions if your elderly relative was unable to. It's important not to wait until the eleventh hour to have these talks. Ideally, those documents should be drawn up when your relative is of sound mind and body. It's not a bad idea either, to have a trusted adviser, not only know where the documents are kept, but be able to get to them if needed. Beware of the appearance on the scene of the "trusted new friend." If mom and dad have a neighbor, caregiver or other outsider who is suddenly their best pal, running errands, going to the bank, and generally being around all the time when they never were before, it can be a warning sign that someone is taking advantage, warns Sarenski. "Elder financial abuse invariably results in losses of human rights and dignity," said Karen A. Roberto, Ph.D., director of the Center for Gerontology, at Virginia Polytechnic Institute. " Despite growing public awareness from a parade of high-profile financial abuse victims, it remains under reported, under-recognized, and under-prosecuted. The 2010 Passage of the Elder Justice Act may bring more attention and resources to this crime leading to prevention among the expanding older population." The bottom line, says Maarse Fitzgerald: "Protect elders from isolation, which allows the perpetrators to take control of our elder's lives."